You are currently browsing the tag archive for the ‘Lawrence Foster’ tag. 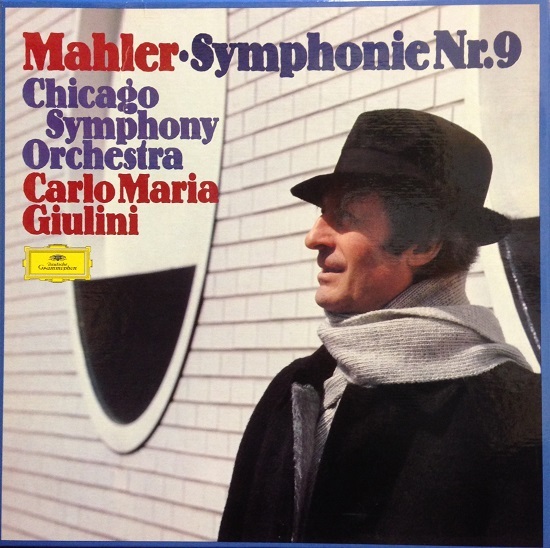 During the second season, Theodore Thomas and the Chicago Orchestra traveled through Illinois, Iowa, Indiana, Kentucky, Michigan, New York, Ohio, Pennsylvania, and Wisconsin. Their travels also took them out of the United States for the first time for three concerts in Ontario, Canada. The first Canadian concert was given on December 26 at the Grand Opera House in London, and on December 28 the Orchestra performed at the Grand Opera House in Hamilton. 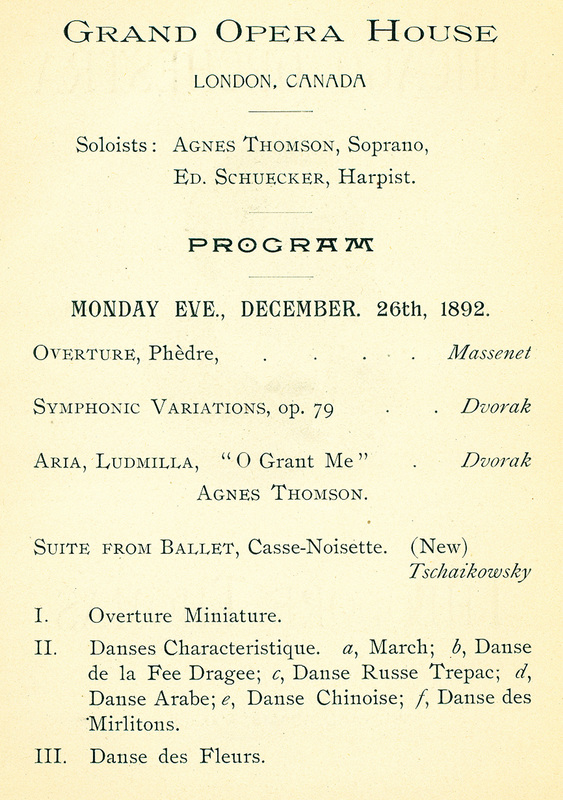 The program for those two concerts featured soprano Agnes Thomson in arias from Dvořák’s Saint Ludmila and Gounod’s Mireille, along with the Orchestra’s principal harp Edmund Schuecker in his Fantasia for Harp. Thomas also led Tchaikovsky’s Suite from The Nutcracker and selections from Moszowski’s Boabdil (most likely the Canadian premieres of both works, since they had just received their U.S. premieres in Chicago with the Orchestra under Thomas on October 22, 1892), Brahms’s Hungarian Dances nos. 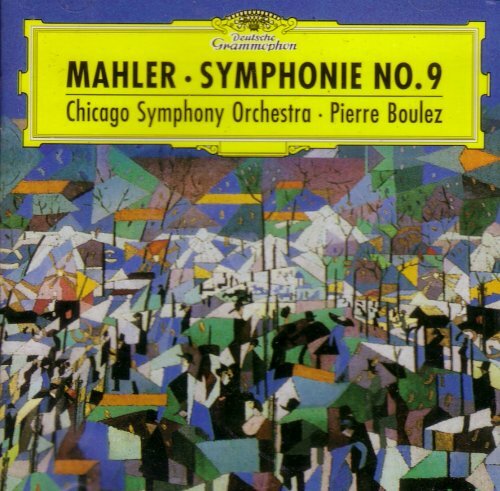 17 through 21, Dvořák’s Symphonic Variations, Massenet’s Overture to Phèdre, and Wagner’s Forest Murmurs from Siegfried. The December 27 concert was given at the Pavilion in Toronto and featured composer and pianist Ferruccio Busoni in Liszt’s Second Piano Concerto. 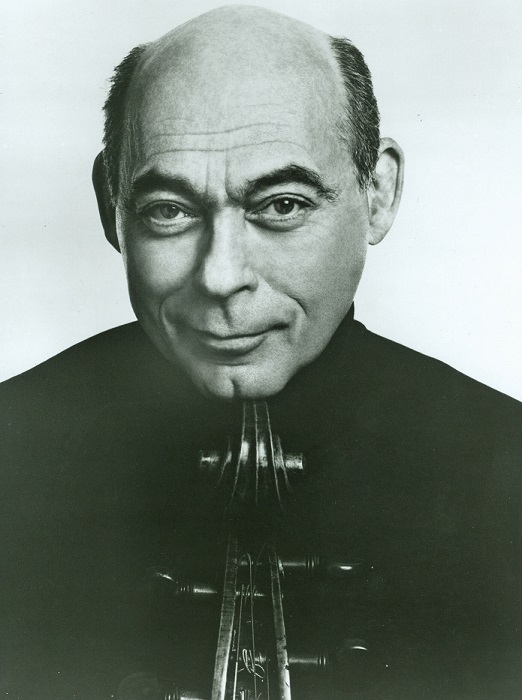 The Orchestra returned to Canada on numerous occasions under Thomas, Frederick Stock, Désiré Defauw, Jean Martinon, and Lawrence Foster, most recently appearing there in May 1976 under Sir Georg Solti. Congratulations to Martina Arroyo and Herbie Hancock! Congratulations to two very special members of the extended CSO family—Martina Arroyo and Herbie Hancock—upon receiving Kennedy Center Honors at a ceremony held yesterday in Washington, D.C. President Barack Obama saluted the honorees saying, “The diverse group of extraordinary individuals we honor today haven’t just proven themselves to be the best of the best. 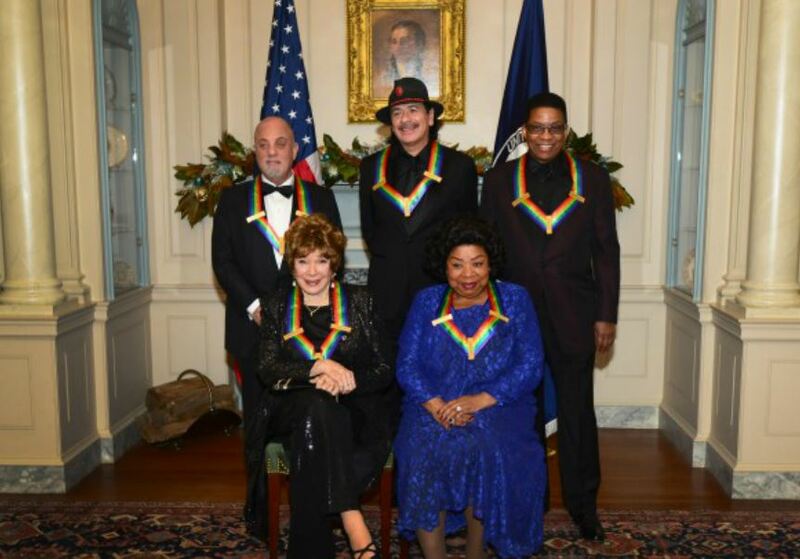 Despite all their success, all their fame, they’ve remained true to themselves—and inspired the rest of us to do the same.” Also receiving Kennedy Center Honors were Billy Joel, Carlos Santana, and Shirley MacLaine. The gala will be broadcast on CBS on December 29, 2013. 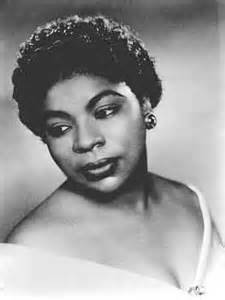 Soprano Martina Arroyo first appeared with the Chicago Symphony Orchestra at Orchestra Hall on November 14, 15, and 16, 1968, in Verdi’s Requiem. Music director Jean Martinon conducted and the vocal soloists included Carol Smith, Sándor Kónya, and Malcolm Smith. She again appeared in Verdi’s Requiem on March 25, 26, and 27, 1971, under the baton of principal guest conductor Carlo Maria Giulini. 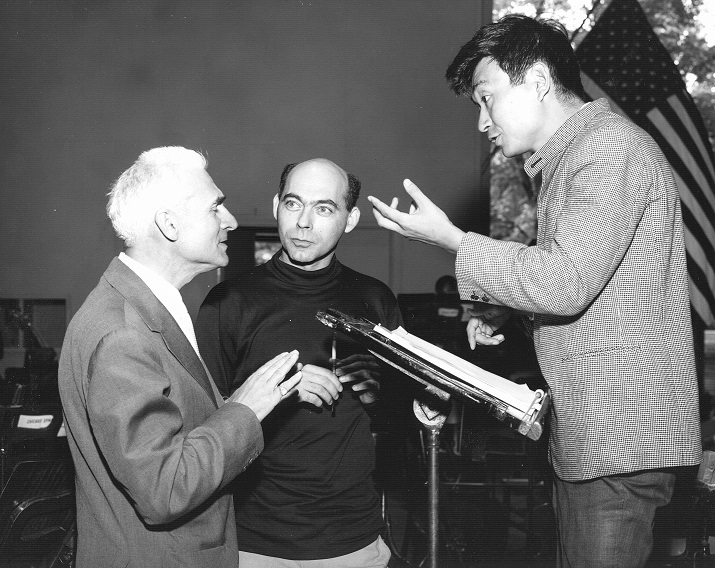 Soloists included Shirley Verrett, Carlo Cossutta, and Ezio Flagello. For both sets of performances, the Chicago Symphony Chorus was prepared by Margaret Hillis. At the Ravinia Festival, Arroyo appeared with the Orchestra in Puccini’s Madama Butterfly on July 31 and August 2, 1969, with Alain Lombard conducting; and on August 7 and 9, 1969, in Verdi’s Aida with Giuseppe Patanè conducting. On August 3, 1974, she joined tenor Richard Tucker in a concert of opera arias and duets by Giordano, Mascagni, Puccini, and Verdi with James Levine conducting; and she also was soloist in Strauss’s Four Last Songs on August 12, 1976, with Lawrence Foster conducting. Eleven-year-old Herbie Hancock—a grade 7A student at the Forestville School, located in the Kenwood neighborhood on Chicago’s south side—was a CSO youth auditions winner and appeared with the Orchestra on a Young People’s Concert at Orchestra Hall on February 5, 1952. He performed the first movement (Allegro) from Mozart’s Piano Concerto no. 26 in D major, K. 537 (Coronation). 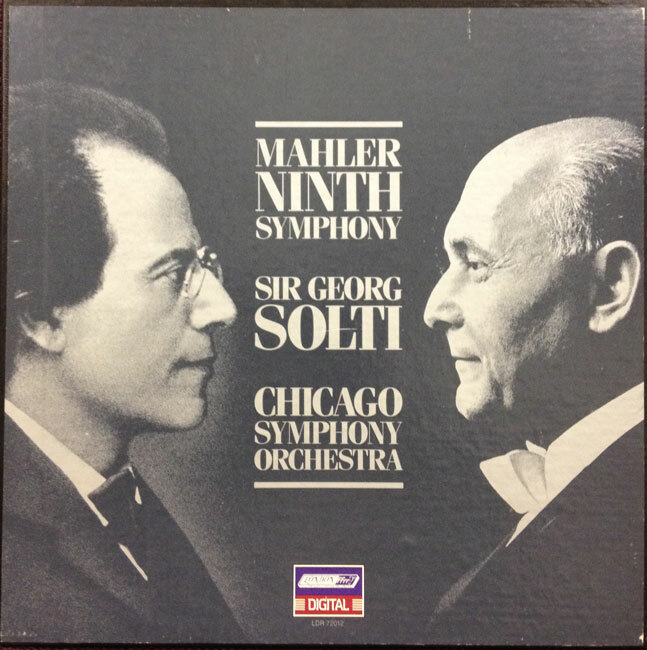 The conductor was George Schick, the CSO’s assistant conductor. 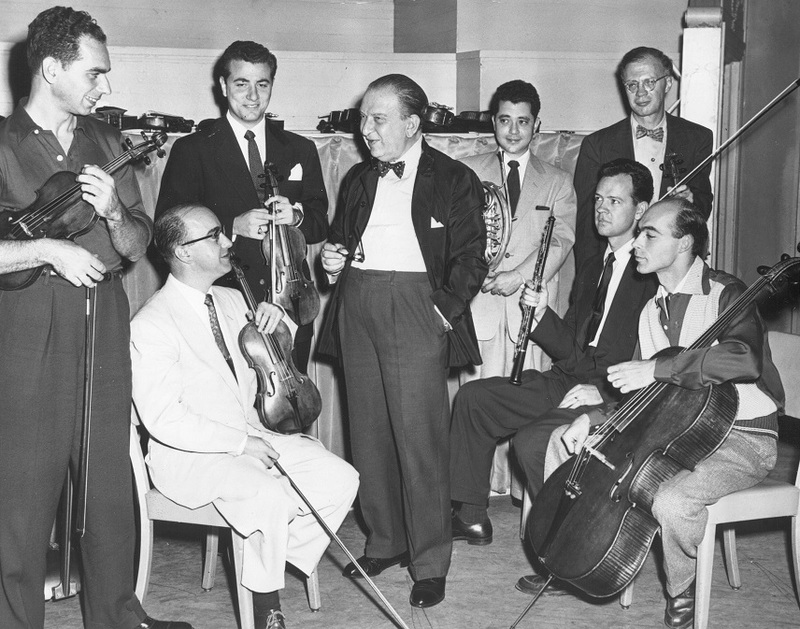 In the years since, Hancock has appeared at Orchestra Hall on numerous occasions with a variety of artists as well as with his own quartet.